OK…so if you came here just for the free and discounted books, scroll to the bottom. If you’d rather read about my journey to get to this book’s release, read on. Wow. Today’s the day, huh? Blink is finally out there. Live, on people’s Kindles and being read. Makes me excited, but more than a little nervous as well. Of course, I can’t claim all the emotion for this book — half belongs to my brother, Paul, and if he chooses to share them, this blog will be the first place they’ll go. But for today, here is a peek behind the scenes with me. Last January was…a weird time. I was still less than six months out from going with my wife to get our son, and adjusting to life as an adoptive father. I really hadn’t written much in a long time. The Powers That Be and The Alien Chronicles had both released in early January with stories I’d written, but most of those words had been penned months earlier. I was in the doldrums. For sure. Then over the course of a few weeks, I stumbled into a daily Facebook status serial of sorts. It was small at first, just a sentence or two, but over time it grew to 500 to 1,000 words — the kind of output I wanted as a writer. I decided one way or another, I’d take what I had and I’d throw it up on Amazon at some point. Probably a 10-20,000 word short story or novella. Kinda fun, but nothing major. Then Paul messaged me. Turns out one of my secondary characters had sparked something. He went off and wrote a complete backstory and side story for Agent Smith. When he sent it my way, I gladly turned over my status updates to him for a while. It’s natural to feel like your own writing is trash and other people are better, but his storyline with Smith was a game-changer. It had something I didn’t have with my own story — my interest. My own storyline was fascinating, but Agent Smith had so many possibilities and he was such a realized character by the time out storylines converged, I knew we had to do something. Something important. We had to make Agent Smith the focus of the novel. Ultimately it meant tweaking a few things in the back half of the book, but it also meant a complete reworking of the beginning. We had to flip back and forth on chapters and provide a intro for Smith that would help establish him and his team in this world. Ironically, the summer was the worst time for us. Both of us are teachers so it would seem as though we would have more time to focus on the book when we aren’t in the classroom, but more time at home meant more time with our kids and writing and editing Blink proved to be a difficult thing indeed. Once school was back in session, both of us were committed to finishing this and thankfully we did in October. Paul and I write really well together. Like…REALLY well. For brothers born eight years apart and who actually didn’t really have much in common until we both got to adulthood, it’s kinda crazy how well our writing meshes. There was a little here and there that I had to smooth out of mine or his to transition, but I would say that I didn’t even touch 95% of his stuff in Blink. When he proposed adding to my story, I was all for it cuz it would save me time. Little did I know that would push us into a novel, and a fairly sizeable one as well. Less work? HA! Over the past 12 months, this was a huge focus, along with my stories for The Z Chronicles, The Immortality Chronicles, Alt.History 102 and the forthcoming Illustrated Robot Chronicles. Those helped pace the novel in a strange way, giving me times to step away and refocus at regular intervals. Now that Alt 102 and Blink are both out there and the edits for Illustrated Robot are still on their way, I need to plan my year. First and foremost — Dead Search, the third novel of my Dead Sleep series that I put off a year and a half ago. I need to re-immerse myself in that world and hopefully I’ll have something for readers sometime this summer. I have a heartfelt thank you for Samuel Peralta. His commissioning of short stories in The Future Chronicles kept me writing in so many ways. The work on this book wasn’t just done by me and Paul; Ellen Campbell killed it on the editing, Adam Hall put out a fantastic cover, and Therin Knite put up with a lot from me on the formatting. Thank you to each of you. BUT…with the release of Blink at just 99 cents for a limited time, I’ve decided to have a sale on my books and short stories. Everything I have control over has been priced down to 99 cents or even Free for the next few days. All the links below are Free/Discounted titles for the next few days. Thanks for reading! Enjoy the freebies and cheap reads! It was three years ago this month that I started writing my first novel. By the time 2013 was up, I had one published novel (Dead Sleep), and its sequel (Dead Sight) just a few months away from publication. Then came the job of finishing the trilogy. I knew the basic plot, I knew what I wanted to do, I just had to write it. The summer of 2014 started well and I had 20,000 words before long. Within a few months, my wife’s grandmother had a stroke and her father had a heart attack. In August, we were about to prepare for the start of another school year when the call came in. We’d been waiting for it, but it was unexpected nonetheless — our son was cleared to leave his African country and we could finalize our adoption. Within two weeks, we traveled overseas to pick him up, but his health concerns took us to one hospital after another for a few months. By the time 2014 was up, the wife and I were reeling from the adjustments our son had from the adoption, the loss of her grandmother around Thanksgiving, and a profound lack of sleep. Essentially, that third book got shelved that summer and I haven’t touched it since. If it wasn’t the third book of a trilogy, I might have just said “RIP Dead Search” and be done with it. Over the past year, I’ve had to re-learn how to incorporate writing into my life. I think I’ve got it mostly figured out, but I know I can always do better. I need to credit Samuel Peralta with the assist in reinvigorating my writing chops. In October 2014, I was invited to be in The Alien Chronicles, and that first Chronicles short story appeared this month last year. Since then, I had the opportunity to write a story for The Z Chronicles (Z Ball), The Immortality Chronicles (The Control), the forthcoming Alt.History 102 (Requiem For An Austrian Princess), and my latest completed story for The Illustrated Robot Chronicles (The Holy, Sacred, and Eternal Book of Robotics). In addition to stretching and challenging me, I’ve joined an amazing band of authors who each value good writing and treat these collections with importance and respect. I’ll forever be linked to these other authors and I can’t be more happy about it. But I think the biggest thing from this past year is my collaboration with my brother, Paul. We live over 2,000 miles apart, but thanks to Google Docs, we have written a few things together, namely our novel, Blink, which will be released on Feb. 4. I started writing it last January, but I didn’t necessarily intend to. I allude to it in the book, but the first words I wrote for it were a Facebook post about my forehead. It eventually morphed into a fictional story and after writing for a couple weeks, Paul showed me some writing he’d done parallel to my own story and it blew me away. In fact, the character he’d centered on became our main protagonist and we both were each other’s biggest fan as we wrote this. Early reaction among Beta and Early readers has been great, but it’s time to look at what’s next. In November, I turned in my alt.history story about Mozart and Marie Antoinette. In December, I finished the edits on Blink, and just yesterday, I finished my Illustrated Robot story. I have no more pressing writing commitments, so one thing remains…Dead Search. And so here we are. A year and a half after I put it aside, I’m returning to finish the final book in my Dead Sleep trilogy. I know I will try to put it off. I know I will be distracted. I know it might be the toughest thing I’ve done with a writing project. But, I promise I will finish. I need to catch up with my characters, so Job #1 for now is re-reading what I’ve already written. I know my writing style has evolved since I wrote that first book, so this might be super challenging. But…I will do this. Hopefully this summer I can have Dead Search ready for readers and I can finally put this story to bed once and for all. Today I’m reviewing Hank Garner’s latest novel, Seventh Son of a Seventh Son. I’m a big Hank Garner fan, but not just because of his writing. He has definitely been emerging as a talent and its hard to deny it when people like Nick Cole rave about his writing. But, lately I’ve been taken so much by his Author Stories Podcast. Hank has been running his podcast for a little over a year now, putting out a weekly interview with an author. Many of the authors are indie up and comers, but lately he’s had HUGE interviews with Andy Weir (The Martian), Matthew Mather (Nomad), and Hugh Howey (WOOL). I love listening to these things and I get a lot of encouragement and motivation from them each week. When I read Hank Garner’s Seventh Son of a Seventh Son, I kept loving it, seeing Garner’s growth as an author with a fantastically creative novel. The first thing I read of Garner’s was Mulligan, and while it was good, there were a few pacing issues that sometimes could keep the reader distant from the action. In Seventh Son, Garner has amped up the action and keeps his characters moving with a clear motive and momentum throughout the book. Even the characters are not always who we think they are and their actions go against the grain at times, adding to the intrigue. I remember first hearing about Garner’s book when it was tied to the Apocalypse Weird series, but somewhere along the way, Garner separated it from that universe. It is clear Garner’s book can stand on its own, with a full realized backstory going back thousands of years to set up the action that takes place simultaneously in 1865 as well as the present day. Our main protagonist, Oliver, is the title character who is tasked with being the secret keeper for his family’s legacy. The main problem is that the life he was destined for arrives when he least expects it and the secrets he protects are even a secret to him. As he tries to figure out what he is meant for, and who is actually is, the reader is taken on a great ride of ancient sacrifices, futuristic travelers, and secret organizations. I loved Seventh Son of a Seventh Son and look forward to the next book from Mr. Garner. It’s December, so that can only mean one thing – end of the year Top 10 lists! I did my favorite reads of 2013 last year, so now this can be a yearly thing. Just like last year, most of the books I read over the last 365 days or so were independently-published. Just like last year, I really believe we are in the midst of a publishing renaissance thanks to the new digital publishing tools at our disposal. Personally, I did manage to get my second novel published, but everything else I published ended up being short stories (a couple will even be showing up in the first couple weeks of 2015). Due a lot of family situations, including a major addition to my family in August, writing just wasn’t as much of a priority during a few stretches. I can say I was able to get about 1/3 of Dead Search written and will endeavor to write the rest by spring. The year 2015 will be a great year and I encourage you to check back on this blog for future updates. Anyway, back to the list. There are more than 10. Yep—a top ten list with more than 10. Deal with it. I took all my honorable mentions and just included them as well. Also, these are books I got a kick out of reading. Me. So if you don’t agree, I understand, but this is my list. I kept getting recommendations from Amazon and other places to buy and read this book. Finally I ran out of excuses a couple of months ago and I am glad I gave in. Fluency is a terrific tale of first contact with an alien race. Told from the perspective of a non-astronaut, Dr. Jane Holloway, a linguist, who is along on the trip to hopefully help find an “Alien Rosetta Stone,” of a sort. Instead, Holloway herself ends up being the Rosetta Stone and we see what happens in deep space when you begin to question all you know, your own sanity, and even your crewmates. Fluency is well done and I am intrigued by what Wells will offer us next. I know Snyder has a few more parts up his sleeve, but I also suspect that the farther he goes, the more the story will continue to grow and thrive. If you haven’t checked these stories out, they are just 99 cents a pop and are a great, easy read. There are a number of authors on this list that I can claim a friendship with, and Thomas Robins is one of them. Desperate to Escape was published partly in 2013, but was finished in 2014 with a thought-provoking finish. In four serial installments to the book, Robins gives us the story of Ineeka, an astronaut hailing from the inner city of Chicago, who, like the title implies, is desperate to escape from the constrained circumstances of her life. Throughout a flashback style narrative similar to “Lost,” Robins gives us a complete portrait of Ineeka, a girl lost on earth, but who finds her destiny in space. Lindsey is one of the best indie storytellers out there today. He has the ability to tell compelling tales in a variety of subjects and genres, and in Super, he took on superheroes. Super was released in the wake of “Captain America: Winter Soldier,” which showed the corruption of the government and its attempts to reign in the world’s superheroes. Edward Snowden and NSA data mining was also a very contemporary issue during the summer months when Super hit Amazon, which made the book and its subject all the more applicable. I really can’t put it better than my Amazon review. “After reading Robert Kroese’s Starship Grifters, I came to one conclusion: everyone in the 31st century is an idiot. Rex Nihilo is either the smartest man alive, or a Forrest Gump of a con artist, lucky enough to stay alive in the face of ridiculously deadly circumstances. I’m still not sure — I’ll get back to you on that. In fact, the only one in Rex’s world that seems to have any brains is his robot, Sasha, who is programmed to turn herself off whenever she actually has an original thought. In a world like that, Rex seems to surround himself with the power players of the galaxy who all turn out to be bumbling morons. I don’t often laugh at the books I read, but I found myself chuckling, chortling, at times flat-out guffawing — at times uncontrollably — at Kroese’s humor placed in the best places in the story. “I can honestly say I was blown away by Sand. After I read Part 5, I said SAND > WOOL and I’m sticking by it almost a week later. The book is just magnificent and Howey once again shows off his masterful storytelling with an imaginative dystopian world that is all at once hard to fathom and easy to believe all at once. Hugh calls Sand the antithesis to WOOL and I can see that clearly. While WOOL is about the absolute control that a small group of people can exert upon the masses, Sand is the opposite. It’s what happens when there is no clear authority and yet people live, work, and die — all under the invisible thumb of some unknown force. Should we call this book Eleanor 1.0? After releasing Eleanor earlier this year, Jason Gurley acquired an agent, and sold the rights to Eleanor. A new and edited version of the book should be in stores in 2015, so perhaps Eleanor will grace this list again next December. Regardless, the book I read was a great work; one that was clearly a labor of love. “There are many different reasons to read a book. Most times I tend to read to think about something in a new or different way. To spark my creativity and challenge my accepted ideas. This book, Eleanor by Jason Gurley, is not that kind of book. Not that it doesn’t make you think. I had a lot of thoughts while I read this book. I thought about the similarities between it and two other books I’ve read. One was fairly recent – Neil Gaiman’s Ocean at the End of the Lane, while the other I read when I was just a child – Madeline L’Engle’s A Wrinkle in Time. Both had a profound influence on me, but all three of these books didn’t so much make me think. There were a number of short story anthologies that I just fell in love with over the last year, but The Robot Chronicles absolutely leads the way. David Gatewood started out with the terrific, but eclectic From the Indie Side, then we got various tastes of time travel in Synchronic, but it was in Robot that the audience really got a treat. So many great stories, told in manageable little chunks. There are a ton of amazing stories inside, starting with Hugh Howey’s Glitch. Among the other authors to pay attention to is Matthew Mather, Wes Davies, Patrice Fitzgerald, Ann Christy, Edward W. Robertson, and A.K. Meek among the others. This book is definitely different than most on this list. I think you’ll find most are hard science fiction with a great many set in space, but Dead in the Water takes our two protagonists to a creepy lake town in upstate New York to investigate a series of deaths over the decades. Originally, I had a couple issues with the second installment and the pacing of the series, but in the third story redeemed Davies and when put together, I think it all works fairly well. Nick Cole’s Soda Pop Soldier may be a traditionally published book, but it has the heart of an indie title. Cole certainly champions independent authors and his book takes risks like an indie author might. There were certainly moments that harkened to a book like Ready Player One, but there was more to this, and in fact Cole tackles the anonymous nature of online interaction with a violence inherent to modern video games. In fact, Cawdron has made a great first contact story that is really less about the first contact than it is a character study of stressed individuals in deep space approaching the unknown. Is it really Satan or something else – something worse? The first two parts of Pennsylvania were on my list from last year, so this isn’t too much of a surprise. Bunker finished up his book by answering questions, but certainly leaving more than a few unanswered for a sequel in the upcoming Oklahoma. Lexicon is one of the few books I haven’t written an Amazon review for, but there are a few reasons for that. One – I actually read it as a paperback and wasn’t immediately prompted to write a review, and two – it was the first book I had a chance to read after the adoption of our son was complete. Regardless, Lexicon was a ride and a half. Hugh Howey had been pushing this book for a while and when I had some money to spend at Barnes & Noble, I specifically looked for this book and devoured it in the days that followed. I loved the secret society nature of the book and the pacing. It was extremely well-written and I’ll certainly look out for Barry’s books in the future. With all the blog posts I’ve shared lately, I haven’t offered my own take on Baking With Swords — why I decided to collaborate with my brother and sister, and what prompted me to write the story I included. While I was whittling down the days until I was finished writing and editing Dead Sight, back in February and March, I started writing a short story. I never had any ambition beyond it being a short story that I would just release as a stand-alone tale, similar to the first story I’d ever written and published, Perfect Game. I happened to say something on Facebook about it, and my brother, Paul, asked if I could wait to publish it until he was done writing a story. (Here is his story on how he started writing.) It was a strange request, so I waited a little bit. After some more inquiry, I found out he wanted to just throw it in at the end of my story as a “bonus” of a sort to any potential readers. I read his story — or at least, what it was at that time. It was good. There was some great ideas in it and it just needed some polishing. It was better than just an unmentioned add-on to a little short story I was writing. I also knew my word count on A Whimper wasn’t going to be much — probably 6-8,000 words — and his was going to be about the same. Betsy was game, so I put my story on the backburner for a little while. School took over and I let the two of them tinker and finish their stories. In the end, each of our stories clocked in at roughly the same length — about 7,000 words a piece. I love Paul’s story because it really is heartfelt. There is a lot of emotion from his main character, Max, and the choices he has made in his life. Obviously Paul isn’t Max, but you can see the questions he has asked are questions Max faces as well. Betsy’s story fits her, as well. She is a mother to two little boys, both under the age of four. There are so many fears and insecurities that accompany being a parent to a toddler and an infant and she confronts them head-on in this tale. Paul and I really challenged her in the editing process and I think she came out of it with a great story that will connect with a lot of readers. As for my story? Well, I shared a bit of it with you a few months ago. (Here’s that link.) I must’ve read some technology story, or even Michael Bunker’s Pennsylvania, and thought of the ramifications should we ever have chips in our heads (PIPs as I call them in A Whimper). What would the effects be? I think there are so many effects worldwide that I really could have written a full-length novel, but I chose personal ones to the main character. It is told first person and my brother said the tone reminded him of Ready, Player One, which is a huge compliment and may be true since I had just re-read it prior to starting the work on it. How will the end come for humanity? Will it go out in a blaze of glory, or will it go in a whimper? Most books and stories choose the former, but I wanted a look at the latter. I’ll confess I’m not the closest person to his family. I don’t talk to them much. I last talked on the phone to my mother probably two weeks ago (Reminder to myself to get on that), and Facebook and text messaging is the best way to get a hold of my brothers and sister. I live in Southern Illinois, one brother lives in northern Illinois, my sister in Michigan, and my older brother in Oregon. We are spread out, but when it counts, we are there for one another. I don’t know if Paul and Betsy will continue to write and publish, but with my limited expertise, I wanted to be able to help them on their first trip into self-publishing. As of this writing, the collaboration has received five reviews, four of which are five-star and the other is four-star. I would love to hear back from anyone else who has read it. Really, you should buy the book for my brother and sister and hopefully my story in this book is the bonus, not their’s. Oh…don’t forget about the BWS Launch Party Monday on Facebook. <– Click there to join. Find the link and the massive amount of giveaways I’ve got scheduled right here —> LOOK AT ALL THESE GIVEAWAYS! I’d never heard of NaNoWriMo until probably about this time last year. I remember reading how Hugh Howey was writing Third Shift during November, but I couldn’t figure out why he would cram all that writing into just one month. I kept seeing this nonsense phrase over and over — “NaNoWriMo.” It took me a little while, but once I figured it out, I was intrigued. Writing a novel had always been a lifetime goal and now I find out that thousands of people write one in A MONTH?! Unfathomable. Incomprehensible. Impossible for me, I thought. Well, fast forward a few months and I end up starting my first novel. The process took from January to May to finish, but in retrospect, I certainly took a lot of time just putting it off and obsessing over details. The more I wrote over the summer, finishing a few short stories and novellas, I realized I am certainly capable of writing a novel in a month. With November looming, I decided I would write the follow-up to my debut novel this month. I’d written a short synopsis and a bit of a prologue back in July, but completely re-wrote it and started over on November 1. As of this writing, I have 9,882 words in the bank. I will go over 10K later today. So far, so good. My first novel was 67,000 words and I anticipate this one will be about the same size — perhaps a little shorter. Since NaNoWriMo has a 50K goal, I am shooting for that right now. The book is called DEAD SIGHT and will be a direct sequel to DEAD SLEEP. The story continues the fight of Jack and Kristina against her former employers/controllers simply called The Company. Jack has the ability to see into his future and Kristina can die and come back to life thanks to nanobots coursing through her veins. I’m really liking how this one has started and look forward each day to my time to write and add to it. I got nearly 9,000 written in the first three days knowing there would be some days this week where writing would be a challenge. I suppose that is part of it — writing when you can. I no longer doubt my ability to finish a novel in a month and instead savor the challenge to do so. What about you? Anyone else doing NaNoWriMo and want to share? A couple weeks ago, I was asked by Logan Thomas Snyder if I would be interested in joint interview. Snyder is the author of one of the latest WOOL fan fiction stories, titled The Disappeared: Part 1, a mystery which looks at the seedy underbelly of silo life. Since I released The Veil back in late July, I’ve been welcomed into the WOOL world and have been blessed in my journey. What follows is a back and forth between myself and Logan over the past few days where we talk about each other’s books, favorite authors and the writing process among other topics. It is a great conversation if I say so myself. With that said – enjoy! LTS: For me, I think, it was the challenge. Obviously I love WOOL (the omnibus was the very first thing I downloaded to my Kindle when I got it last year), but it’s not like I finished and started right away on my story. In fact, I wasn’t even aware there were other Silo stories until I saw Hugh gushing about WJ Davies’ The Runner. So I read that, then Jason Gurley’s amazing Greatfall series, and that’s really when the gears started turning. Now, I’ll be the first to admit that before The Disappeared I had zero experience in quote-unquote fan fiction. I just never felt comfortable writing for other authors’ characters in their worlds. Because of the unique nature of the silo system, though, I realized I could take a silo and run with it. So that was appealing, the challenge of taking an established, closed setting and imbuing it with an original story and characters. Throw in Hugh’s blessing to attach our stories to his world, and it feels like what we’re doing is almost semi-canonical. Or maybe ‘canon lite’ is a better way of describing it. Either way, for better or for worse, we’re all connected now, and that’s exciting. Same question for you, with a follow-up: What, if anything in particular, inspired your story, The Veil? I had planned to write a novel forever, but it was Howey — a man just a little older than me — who really inspired me. I wanted to honor that and pay tribute to his world, especially when I saw WJ Davies’ The Runner and other Silo stories in the early part of this year, but I pledged to finish my novel first. Once I did, I worked on The Veil. But, what directly inspired the story of The Veil? It was my sister. She had written for a newspaper in Grand Rapids about her trouble conceiving and with miscarriages. A line just jumped out at me where she talked about her circle of friends leaving her behind and her being an outsider with no kids. If you’ve read The Veil, this is a part of Mary’s life about halfway through and I basically built a world around that small little scenario, except in a silo. I will also say really quick, that I had never written fan fiction before, either. I had always dismissed it, but Hugh added a sense of legitimacy to it with his endorsement. Now that I’ve done it, I’ll say it is sometimes more difficult that penning your own work. Instead of framing your own world, you have to follow the guidelines set out by someone else. It isn’t easy and I believe it actually helped my writing by forcing me to be more disciplined. Next question: The Disappeared is your first work, right? How’s the rest of the story coming and when can we expect them? That’s incredible, although I think in retrospect I sensed there was something more personal lurking between the lines of that transition in Mary’s life. There was something very intimate about it that I think most people would be hard pressed to imagine cold, without the life experience underpinning it –- which, of course, is where the best stories often come from. As for The Disappeared, it’s actually my first published work of fiction. Up until about five years ago, I was a dedicated biographer and all around nonfiction article writer. Then I just hit the wall and decided I wanted to tell my own stories instead of other peoples’. So, like you, I embarked on my first novel. Unlike you, I failed miserably. I hit a point where I just didn’t know what to do with it. So I scrapped it and started on another one. Same result. That was when I realized I needed to think smaller. The result of that was my first novella, This Mortal Coil. I viewed it as more of a personal project, so I didn’t publish it, but just seeing it through gave me the confidence to return to the novel form. It took a little more than a year, but I finished my first full-length novel, The Lazarus Particle, a few days before my thirty-first birthday. About a week later I emailed Hugh with a very lengthy pitch for The Disappeared, and he quickly emailed back with his blessing. I started on Part I the next day. As for the progress, it’s going great. Part II is the better part of done, and I’m about halfway through Part III. Part II should be available in early October. Next question: Let’s talk a little bit about characters. What do you think is the worst of the secrets Mary carries with her? Or, if not the worst, maybe the most potentially damaging? Feel free to interpret the question as you see fit. There’s so many, I can certainly think of a few, but I’m curious as to your view on the subject. I don’t know that I succeeded where you failed. I had many starts and re-starts over the last 10-15 years, but I wasn’t able to have the endurance to finish until I saw Hugh’s story. As for Mary (SPOILERS AHEAD FOR The Veil), I’d identify two as damaging. Obviously if you’ve read the story, you know that the entire tale is centered around all the secrets Mary keeps from her family and the rest of the silo. The first of which is certainly one I could lead with. When she decides to reject the lottery as a newlywed and then keep that fact from Jacob, it sends her on a downward spiral. Ultimately the argument could be made that each and every one of her mistakes from that point on were a direct result of the initial secret she kept from her husband. On the other hand, the worst and longest-lasting secret would be when she indirectly sent her friend Chelsea to clean. By aiding Ari Green by betraying her best friend, she sided with IT over Chelsea, her mother and even her father’s legacy. But even then, it is really the secrets and the heritage of secrets passed down from her mother that led to it all in the first place. If Mary’s mother had told her earlier about her father, perhaps Mary might have made a different decision at the end of The Veil. Next question: Was there something specific that led to the ideas behind The Disappeared? If we start wading into spoiler territory for the sequels, just say so. I thought you might mention that first one and I have to agree. I remember reading her denial of the lottery and thinking it was almost a kind of reverse original sin. She’s presented with this unexpected gift, and instead of taking it, she refuses it, only to continue to come back to that moment, and how much different her life might have been if not for that rash decision and everything that follows. It’s a powerful statement, how people fool themselves into thinking secrets will eventually wither and die, when really it tends to be the exact opposite. As for The Disappeared, sadly I didn’t have to look too far back into recent history for a real-world analogue. For those of us that don’t have a background in history (it would seem we’re pretty well steeped, you being a history teacher and me being a history major and biographer), Latin America experienced an incredible period of turmoil as a proxy battleground of the Cold War. During the late 1980’s, so many political dissidents went missing in Latin American countries that a new slang term was coined by necessity to refer to them: los desaparecidos, loosely translating into “those who were taken/went missing in the night” — also known more simply as the disappeared. So to answer your question, my specific motivation for The Disappeared was examining crime and punishment in the silos, in particular what other options there are for someone who isn’t sent out to clean. The other side of the coin, so to speak. And from there it just fell into place, the combination of missing girls as part of a deeply disturbing conspiracy that overlaps our own modern-day concerns about government surveillance and overreach. Next question: Tell me a little about [your first novel] Dead Sleep. I’ve got it on my Kindle and it’s a strong contender for my next read. Without giving too much away, what should I look forward to? So…Dead Sleep. It was my first story, even though the short story Perfect Game was published about a month earlier. I started the book back in January of this year after I had been at a funeral for a friend’s mother. While I was in line to see the family, I kept thinking of a character waiting to see someone who had died. Then, the concept came to me — what if she wasn’t really dead? As all stories do, it took a lot of different shapes early on, but within a month or so, I pretty much knew where I wanted to go with it. The trick was to finish it. Teaching high school at the time, I was able to work on it alot in the evenings, but I had to stop here and there, once for over three weeks. But…I kept on writing and that’s the trick. I’ll tell you something… the blurb on Amazon references that the main character, Jackson, has the ability to see his future. While that sounds supernatural, there is so much science fiction in the story. Kristina, the girl he thinks is dead, has nanomachines running through her body and later they are pursued by a team of androids. While there are a lot of questions answered at the end of the book, I’ve got a lot planned for two sequels to complete a trilogy. In book 2, we’ll find out a lot more about Jackson and his abilities and book 3 will really showcase Kristina’s talents. Right now, I’ve actually got a new cover in the works and it may be done by the time this interview goes live (it hasn’t — stay tuned). With it, I’ll also have a print edition for the first time. Next question: Who are some of your favorite authors? Who do you think you write like? I was wondering when someone was going to mention Taken in connection with The Disappeared. Not that I disagree with the comparison the way you made it. You’re absolutely right, there are definitely points of overlap. It was one of the first things I had to get past mentally. But, I mean, ultimately, Echo is no Liam Neeson. She can’t fight and for the most part she’s completely out of her element. I mean, as much as she doesn’t understand the word ‘quixotic’ by the end of the story, that’s sort of the irony. What could she ever really have done for Shim on her own, the way she set out about it? And yet, be that as it may, no one could have ever talked her out of her search — as we’ve seen — and so we come to Part II, with her… well, you’ll see. Boy, that last one is a killer, though. I don’t think I write like anyone. Not to say that my style is especially unique; I’ve just never really thought about it, I guess. I’ve had such a weird, circuitous journey to fiction that I feel like I kind of had to work it out for myself in large part. Trust me, if you saw how bloody red some of my pages run after a good long editing session, you’d see what I mean. Wow…just goes to show how many influential authors are out there. I’ve read some of Crispin (Star Wars geek myself back in the day) and a little of the others, but most of the writers you cite I haven’t really read. I’ll have to tap into some of them someday. As for me, I really have to credit my dad. He is a huge science fiction and fantasy fan and had a lot of classics for me to read through the years. Overall, my main influence in childhood was Isaac Asimov. His robot stories and the Foundation novels really informed my writing a lot. He had a way of advancing the story in a very concise way. Not too flowery for the sake of inserting adjectives into the plot. Robert Heinlein as well…Ray Bradbury, Orson Scott Card, Ben Bova, and Frank Herbert for sci-fi. Anne McCaffrey, David Eddings, Terry Brooks, and J.K. Rowling for fantasy. Writers I like to read today include Hugh Howey, Lee Child, Vince Flynn (RIP), Dean Koontz, Stephen King and Clive Cussler. I would love to think I write like Asimov. I did a lot of research into him when I was younger and he said he wouldn’t rewrite. He would write what he wrote and he rarely went back to re-do anything in his books. I think in many ways, I’m like that. But, I also have tried to pattern myself after modern-day writers like Dan Brown, Stephen King and Clive Cussler in terms of pacing and action. Next question: What do you do for a living and when and where do you write the best? How do you find the time to write? I’ve worked in the incredibly uninspired field of advertising and marketing for a little over three years now. It’s no coincidence that I started really writing in earnest again right around the time I took the job, mostly because it’s so lacking in creative stimulus that I needed some sort of outlet. The best thing about writing, unlike say something like painting or music, is that I can brainstorm and write in my head while I work. Even better, and really the best part about the work, is that I can more or less make my own hours, so if I have a sudden flash of inspiration, I can usually put it aside and get whatever just jumped into my head down on paper. As for where and when, I’ve got a nice little home office that’s pretty much my writer’s nest; I’ve never been one of those people who can peck away in a coffee shop or whatever, I definitely need to have control over my environment and that’s where I tend to find the most inspiration. Speaking of occupations, one of the things I found most interesting about the world of Wool is how precious little the characters know about the world that came before the silos. As someone who also has a background in history, do you think your background as a history teacher gave you a different perspective or insight into the series as a whole, or possibly even the way you approached your own story? That’s a fascinating question. Initially, that was one of the things I was really skeptical about in Hugh’s stories. How can a group of people so easily forget their own history? Obviously, he takes care of that with the medication dosed to the people of the silo, but it still has a ring of implausibility to it. That is, until you look at history itself. The Middle Ages — sometimes referred to as the Dark Ages — was a period just like this. The Roman Empire existed and was the dominant force in the world. They ruled with an iron fist and provoked all their enemies in every direction, eventually suffering at the hands of the Visigoths and Vandals because of it. In WOOL and SHIFT, you can see a similar thing happening. The United States has so much power that it is very much like the Roman Empire in the latter stages. While the Romans had the Germanic tribes to worry about, the U.S. has foreign powers like Islamic extremists and Russians. Next question: There is a lot of fanfiction out there now for WOOL. How much have you read and what is your favorite? Why? I definitely see the parallels on the macro level when you put it like that. As a reader, my reaction came more at the micro level. At first I felt a bit of a thrill, realizing I knew considerably more than the characters. That’s an interesting position for me as a reader, because it sets up the internal question of “Well, what happens when the truth comes finally comes out? How will people react, what changes will it elicit?” etc etc. But the further I pushed into the series, the more I realized the gulf of knowledge separating reader and character was not nearly as wide as I initially thought. What more do we really know that they don’t? Granted, we have the benefit of several thousand years of recorded human history to study, but even with that knowledge at our fingertips we’re no more capable of answering the questions that define the human condition to this day: Why are we here? What else is out there? Are we alone? At the end of the day, we’re all basically Lukas, looking up at the stars and wondering what, if anything, lies beyond. That was a powerful realization for me, one that made it a lot easier to relate to the characters and their unique situation. As for the wealth of Silo stories now available, I have to confess I’m fairly far behind. For a while I was keeping good pace, but it seems like there’s a new one just about every day now! Greatfall continues to be my frontrunner favorite, I think, purely because of how shocking the subject matter was. The Silo Archipelago series was also intriguing to me, primarily because of the parallels with other underground movements throughout human history. As for the rest, my Kindle cup overfloweth with Silo fiction, so those two will definitely have some competition in the weeks to come as I finish up The Disappeared and have more time to kick back and read for a bit before resuming work on The Lazarus Particle. Aside from your own personal favorite Silo fanfic, one last question: Based purely on your own parameters, which of your works are you most proud of and why? Greatfall is amazing. Jason Gurley really knocked that one out of the park. Boy, I’ve read so much of it, it really is difficult to say which is my favorite — they all have different flavors with each author bringing their own perspective on silo-life to the table. Bunker did great with the Archipelago, of course WJ Davies’ Submerged series (The Runner, The Diver and The Watcher) all have a great place, simply because they were really some of the first and Davies managed to end his just after DUST so they were really the first to incorporate facts learned in DUST into the narrative. There are some great new authors coming up because of WOOL as well — Carol Davis, Brigid D’Souza, Ann Christy and Fred Shernoff to name a few. I’ll read just about anything they have to write, simply because of what I’ve already read from the WOOL universe. As for my own books — that’s like asking which of my children I love the most! Nah…not really. Right now, I have four published works (I just published Ant Apocalypse yesterday) with two short stories, a Silo novella and my novel. I think my best writing so far was in the Silo Saga novella, The Veil. 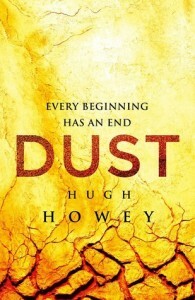 I really worked hard at keeping the details clear and concise and fitting that into Hugh Howey’s universe. However, which one am I most proud of? My novel, Dead Sleep. My writing (and finishing!) it, I proved to myself I could do it. Before I became a teacher, I’d worked for a newspaper and I could write 500-2,000 word articles all day long. But…a novel? I didn’t think I could. Once I learned about Hugh and his process…then found out that he endorsed “shorter” novels with as few as 60,000 words, I really decided to go for it. It wasn’t easy, but I persevered throughout a six-month time period to finish it. The book will always have a special place in my heart, in spite of some flaws in retrospect.